There are 90 comments on this post. Leave yours. I am in LOVE with Siahi. Must have. 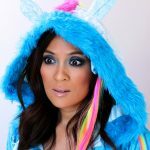 Are you a Fluidline fan, Phyrra? That’s it. I was hemming and hawing about getting the Siahi Fluidline because colored Fluidlines inevitably end up too sheer for me but this…this is BEAUTIFUL. Play with it and let us know how it goes when you use it in a look! Thanks Karen! siahi needs to be in my life! You’re so funny. 🙂 I love blues/teals, too, and I think my heart melted a little when I swatched it. 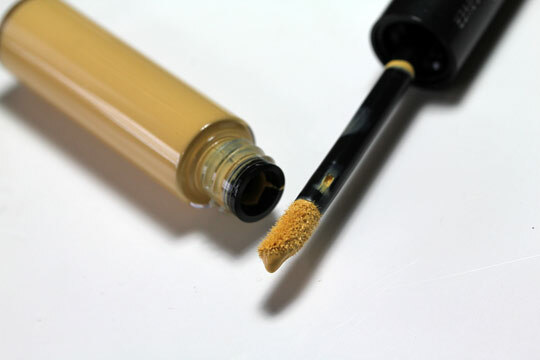 Karen- I'm going to sound really tacky for saying this but since I'm on a highschooler's budget I discovered Wet n' Wild Creme eyeliner… it is 3.99 and has become my HG. 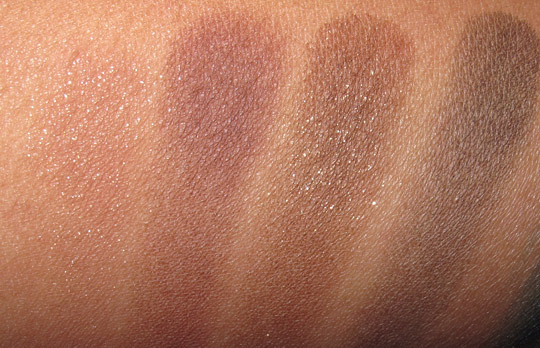 Stays on waterline for a few hours (tightlining) and is darker than Blacktrack, according to swatches I've seen online… maybe try it out? It's gorgey. 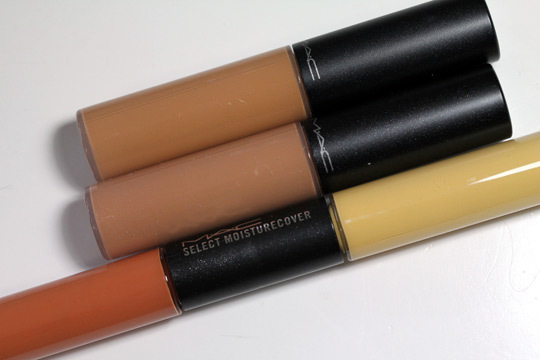 Thanks for swatches, going to MAC for my first time ever tomorrow 😀 Going to invest in some good concealer for my horrible dark circles, then Sephora… good day! I would love to see more of Siahi fluidline as well. 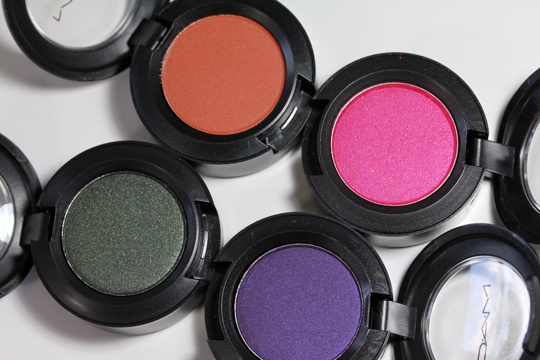 I’m also considering picking up the Oomph and Marvel eyeshadows after seeing these swatches. Gorgeous! Oomph is gorgeous. Did you pick up anything from the Chanel spring 2011 collection? I’m thinking it should work with the colors in that release quite nicely. LOL, kinda like getting MAC injected straight into your veins? I used to watch Namaste America when I lived in the Bay. I’d make my husband translate for me. Good times, good times. I really like that Siahi, Oomph and Marvel too. Maybe we were watching at the same time… OooOOO! Cosmic connection! 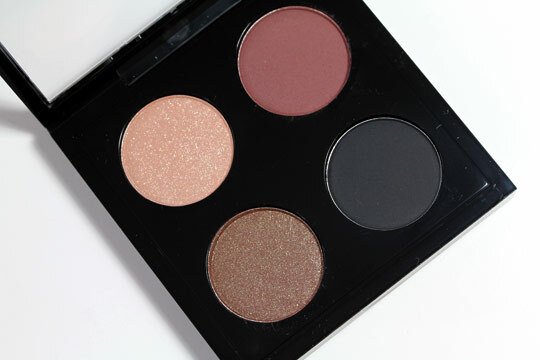 OOh, loving Oomph, Ivy, Flesh and the two blushes! There seems to be a LOT of interest in the Siahi Fluidline. If you want me to do a FOTD with it will you please let me know? Thanks! Happy almost new year, babe! How was your Christmas? 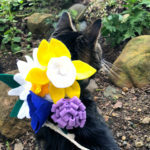 Saffron is really pretty! I bet it would make a nice crease color. The name’s are amazing, but… the colours aren’t 🙁 Nothing special to me. It’s a good thing MAC always has new things coming out. 🙂 Hopefully you’ll find other colors you love in another collection. 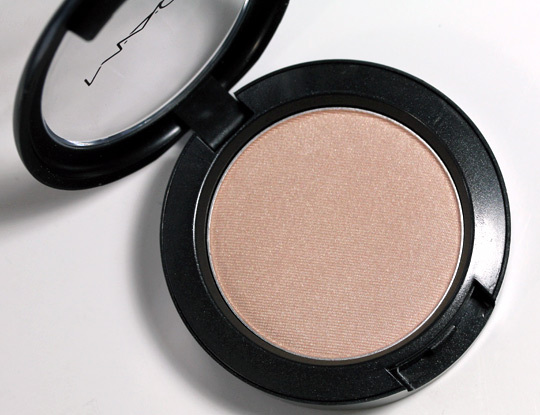 oomph looks nice… but I hate buying MAC shadows that I can’t get in pro pans, know what I mean? 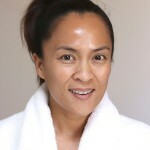 I might check out gana – looks like a pretty highlighter! Has your Cham Pale stuff arrived yet? great minds, indeed! 🙂 it arrives tomorrow! I can’t wait! Awesome! Just in time for new years, yay! I can’t wait to get my hands on the 2 fluidlines!!! 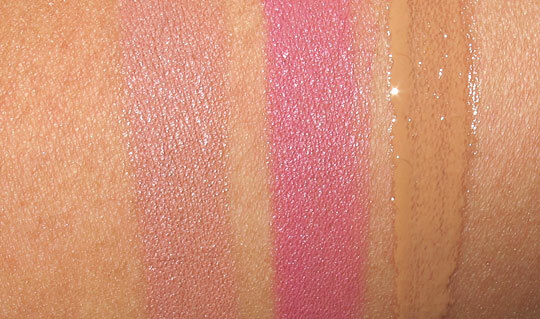 Ooh, I really like the blush in Sur! That’s a very pretty — it’s kinda like an everyday color, ya know? I love you too, Sofi! I am most excited for the fluidlines in this collection! I think I might get both! I want…ALL OF IT!!! Just kidding. Kind of. Goodness, these colors are wonderful! I definitely feel the need to pick up both of the fluidlines (they will be my firsts). and I would love to get marvel, rani and surf. I think some of the lighter toned things are gorgeous, but I’ll have to go in store for those to see if they show up on my skin tone (unfortunately a lot of things just blend in with my olive-skinnedness, which is sad). Thanks so much for posting the color swatches so early so I have time to save and plan =0). I am really curious about the correctors! I have a lot of redness and I always feel like foundation + powder doesn’t always do the trick. Just a note on the correctors, not really designed to deal with/counteract redness. This corrector was designed for olive and or golden/warm toned folks to deal with grey areas or concealors that need more/less warmth. I’m not saying that it won’t work for that, but the yellow side looks a little mustard-y to counteract redness. They did say they were considering a whole line of similar correctors for other issues though, so maybe in the near future?! THANK YOU for posting this! I placed my order on the Mac Pro site for everything, hoping that I’d love all the colors (I’m NC45). I am thrilled with all the swatches! I cannot wait for my goodies to arrive!! The only thing I don’t like about the quad, though, is that there’s only 2 L/E shadows. If I weren’t a quad collector, I’d probably pass on it. Kinda random, but does anybody else want to call the “Athma Quad” the “Asthma Quad” ? That’s what I’ve been calling it for the last 2 weeks hahahahahahaha!! I can’t help it! It just kinda comes out that way!! I will be very happy to have the asthma quad in my collection! LOL. I think it’s actually supposed to be Asma (a pretty common Indian name) with a softer ‘s’ sound which is why they spelt it weird I guess. Actually, I think it’s supposed to just be athma as spelled, which means soul! this promises to be a winner collection — loving almost everything! esp those fluidlines!!! Usually I immediately want the lip products, but none of them are really calling out to me. 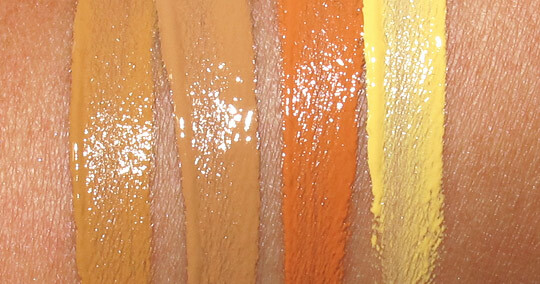 I do love the fluidlines and single pan shadows from this collection, though. 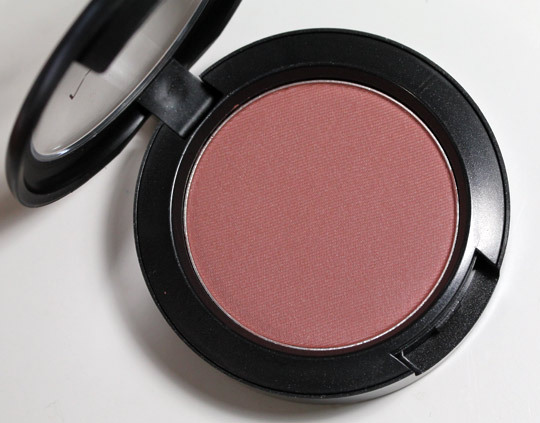 And the blush in Gana looks like it would make a gorgeous highlight. have mercy! my wallet just opened up and money went flying out! LOL. 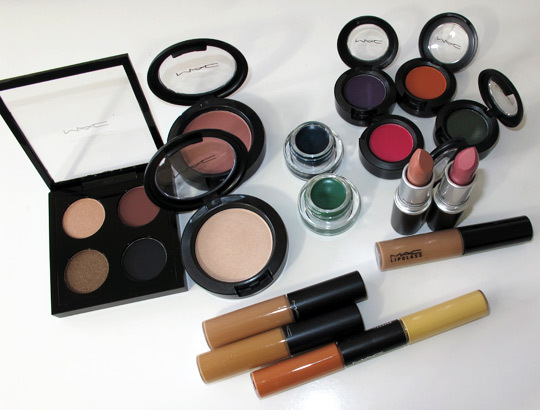 i love this collection…..these are definitely my type of colors. the list? the blue fluidline, both lipsticks and the lipglass (although, i might pass on that one), sur blush and the eyeshadow quad. the “i might cave” list? saffron and rani eyeshadows. heaven help me! LOL. Thanks, Karen, for the swatches. Oh wow! What a beautiful collection. 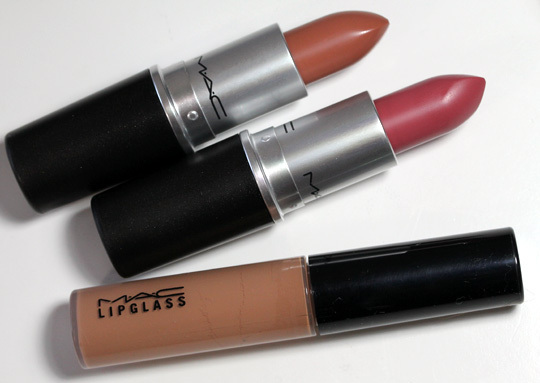 I want Siahi, Sur blush, Flesh lipstick, and Marvel e/s. Sur is especially beautiful! Oh my god, those lipsticks and blushes are calling my name! 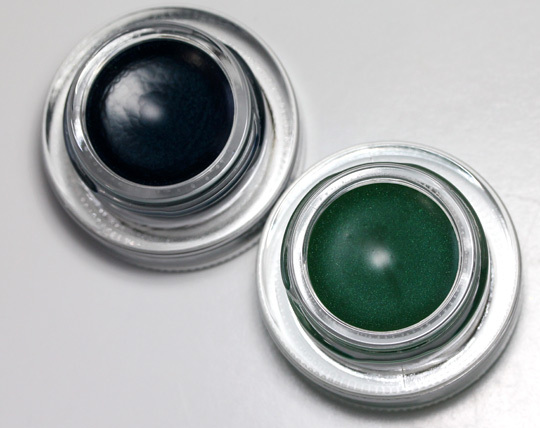 The single eyeshadows appear sheerer than I thought, even if taking into account that I`m extremely pale, so they would look a bit different on me. I had planned on buying oomph but on you it reminds me a lot of Greensmoke, which I have already. Maybe I don’t need anything from this collection after all and my wallet could recover. 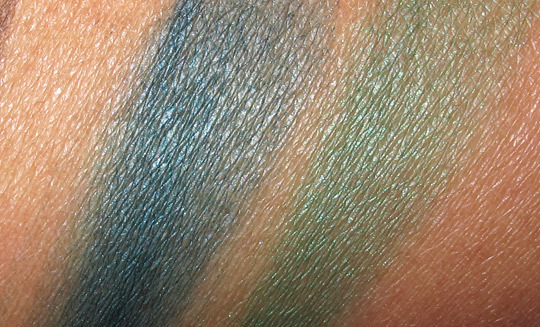 In the promo-pic on the model, this green eyeshadow looked more like a satin green. Thanks a lot for the swatches and preview! Oh my lord, are those ever *gorgeous*! I, for one, cannot wait to hear more about these — especially the correctors; they look really interesting! Oh man, I love this collection so much. 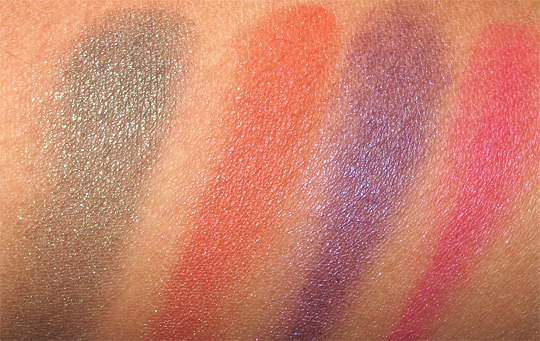 Want three eyeshadows (Saffron, marvel +Rani), the quad, the Sur blush, and the lipstick in Mehr! 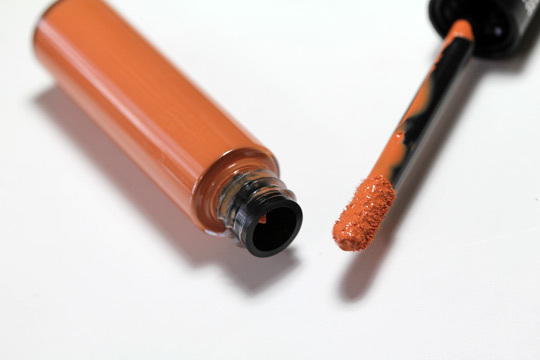 Have you tried the coral corrector for undereye circles? Would you? OMG…Fluidlines and eyeshadows. Thanks for the swatches. need the ivy fluidline and that beautiful quad! 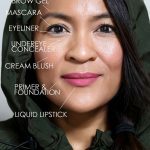 What-s the coral and yellow corrector are for? Ar they concealer? But the colors are rather on the extreme side ya? Ooomph eyeshadow looks amazing. Thank you! 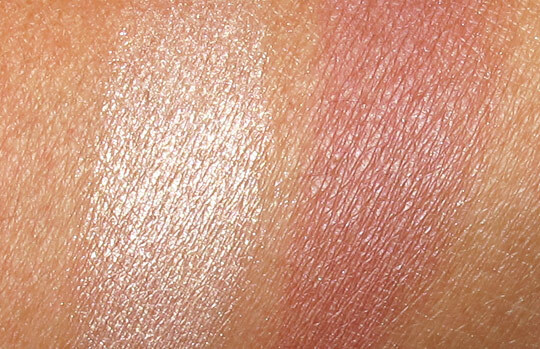 Karen, thank you for posting these swatches and pictures! If you have a chance, I’d appreciate your answering this question: do you think the Oomph eyeshadow and the Fluidlines would work on someone who is ridiculously pale and cool-toned? Most of the other stuff looks like it’s not for my skin tone, but the shadow and Fluidlines did catch my fancy. Unfortunately it’s not going to be at my local MAC, so I’d have to order it online and would rather not do that if I know ahead of time they won’t work for me. 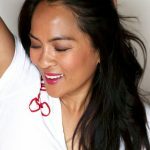 As a South Asian girl, I am ALL over this! I want everything! Mickey Contractor really has improved the makeup world in India and it’s so exciting to see what he things are great picks for Indian skin tones. 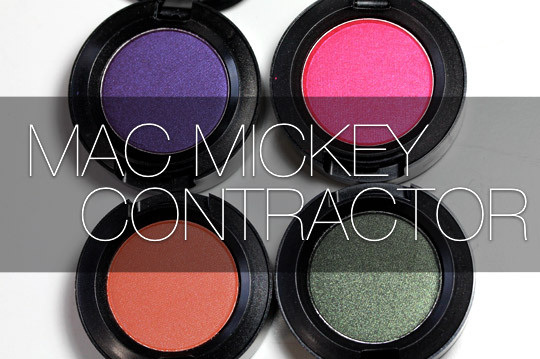 I can’t wait to get my hands on the shadows, fluidlines and the color corrector! Siahi is LOVELY, for sure. Otherwise, I do love the color Folie from the palette and Oomph is pretty, too (a color that would look GREAT with my eye color)… Marvel is fascinating, but I don’t think it would look really good with my eye color. 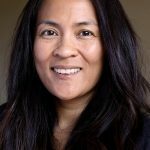 I`m an NC 40 to 43 and really curious about the l/s! we will get the collection online only in Germany 🙁 would be great to see swatches! gotta have Saffron, Marvel and Rani!!!! 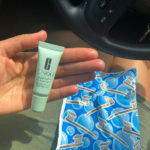 I’m super excited about the corrector! Looks amazing, hope they decide to make it perm! I was going to skip this collection, but those Fluidlines look gorgeous! I am also interested in the color correctors. Just beautiful! I can probably skip oomph, and marvel, but I have so many pinks/purples, maybe I’ll skip those two and try something new with orange and green? I have a lot of pinks and purples too, btw. LOVE both of those colors, especially in the summer. Hiya Karen, thank you for this info! I live in Perth, Western Australia – on Christmas Day this year it was 41 degrees [C = 104F] and 85% humidity, so we go for lots of cool white wine and seafood rather than the hot-dinner thing at Christmas! My husband is from Ireland, his folks were dealing with -10 degrees and a foot of snow! Cra-zeeeee. The native trees and birds and clear blue skies here are soooo beautiful, and the beaches are gorgeous. The beaches especially if you just happen to be into surfing and/or snorkelling, there are some AMAZING places. Come and see! So anyway, the MAC collection probably won’t land here until late Jan, rather frustrating but gives me a chance to do more “research”, right? 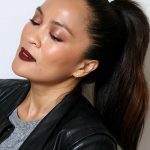 Could you please tell me about Oomph – I am a Green Eye Shadow Fiend and have soooo many green MAC eye shadows but I really really want a greeny-grey shade! Oomph seems to have a bit of grey going on there – or is that just the swatch? Please let me know. It looks very soft and sheer and pretty . . . I adore the heck out of those fluidlines, hmmm might be time to beat my gel eye liner phobia! Any tips for the hand-eye coordinationally-challenged? 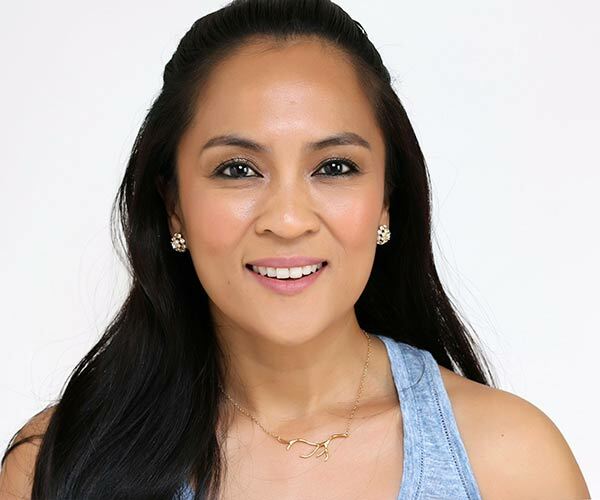 Hi Karen…I’m loving the look of both the Fluidlines and the eyeshadow in Rani. Been looking for a bright pink eyeshadow for ages and am excited now!! (In India, Rani means Princess and Rani Pink is known as a bright magenta pink). Hi there! I went 2 selfridges in trafford centre in manchester, I was snowed in for days. Things got clear so i went out, I recently done a make up artist course so I had to buy make up.I went on the mac counter to buy stuff and i chose a few things and i told the assistant I will be applying wedding make up for mostly asian skin tones and its bollywoody and she took me to the stand of mickey contractor and said it just came in. she asked me if I knew him I didnt, but I grew up with bollywood movies and was facinated with the make up and colours. I got a lot the stuff but I didnt know it was coming out. this is what I got. Siahi fluidline tried it loved it ! loved it ! its bluey green intense baby! 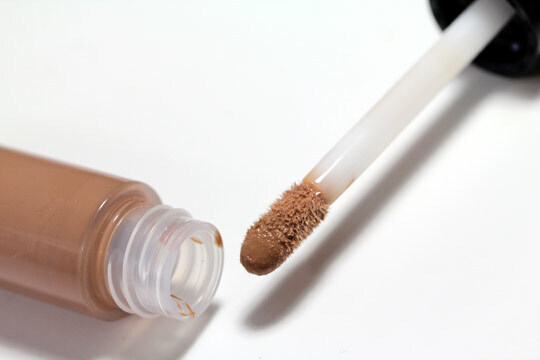 Coral corrector tried this it works but I think the consistency needs to be a bit thicker its abit thin to my liking I think the bobby brown Iv got works for me. I will let u know about the other stuff. happy new year ! 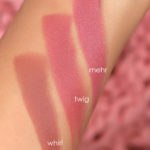 Could you say that NYX round lipstick in Tea is a dupe for Mehr and how does Flesh compare to Viva Glam Gaga 2? I really want some of this collection but I’m a bit too late to get it.